Marco Wilms is director and producer of HELDENFILM. He studied directing at HFF Potsdam Babelsberg. Topics are: Human interest, unique characters from all over the world, culture, adventure and art. Heldenfilm is member of EDN and AGDOK. Director Marco Wilms films went to festivals like BERLINALE; IDFA, Vision du reel Nyon, Silverdocs, DOK Leipzig, Kassel, FF Max Ophüls Preis, UFVA (First Kodak Prize), Sevilla (Golden Giraldillo), Docpoint Helsinki, FF Krakow... and win several adwards there. He speaks Thai and did a few films in Vietnam, China and Thailand. Marco Wilms was teaching film in Vietnam and Thailand (for DAAD), in Russia (for GOETHE INSTITUT), in Berlin Germany (for HDK), and taught pitching in Lisbon (for EDN). Marco Wilms was born in 1966 in former East Berlin, GDR. He became a tool maker, graphics designer and state certified model in the GDR. Wilms studied stage design and art direction. In 1993 and 1998, DAAD scholarship in the US and Thailand at the Film Department of Thammasat University. He finished directing studies at the HFF Potsdam in 2001. Marco Wilms was teaching film in Vietnam and Thailand (for DAAD), in Russia (for GOETHE INSTITUT), in Berlin (for HDK), and taught pitching in Lisbon (for EDN). 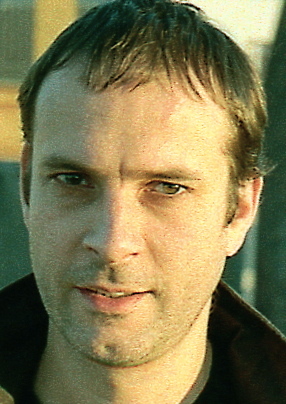 Director Marco Wilms films won various awards.